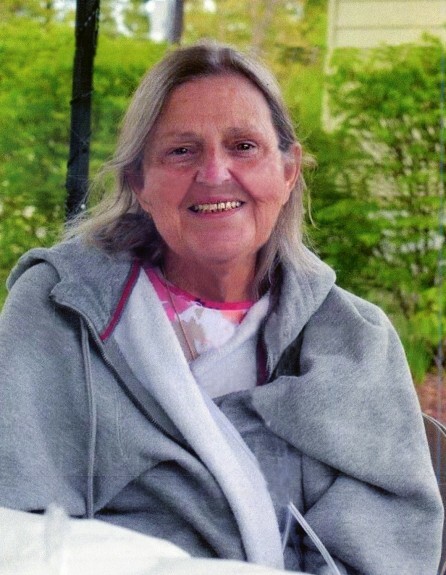 NASHUA- Lorraine Martel of Nashua, died on Friday, April 12, 2019 surrounded by her family and friends. Lorraine was born in Lowell, MA on April 10, 1946 to Lucie Rodrigue and Leo Ducharme. Lorraine is survived by her son Stephen "Blacky" Martel and his significant other Michelle Haines and their son Stephen; her son Eric Martel and his wife Amanda (Power) Martel and their four children, Aaron, Tyler, Andrew, and Leean; as well as a great-grandson Caleb. She is also survived by her brother, Joseph Ducharme and her three sisters Rita Lantagne and her husband Scott, Diane Chase and her husband Greg Johnson, and Valerie Miller and her husband Wayne as well as her sister-in-law Lucia Ducharme. Lorraine was predeceased by her husband, Charles "Charlie" Martel. They were married for over 43 years and chased hot dogs all over the country. At her request, the only music to be played is by Jimmy Buffet, TSO, and Bob Marley. Everyone is also requested to wear Hawaiian or other bright colors. Fins up!